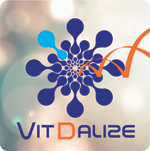 VITDALIZE is a multicentre, placebo-controlled double-blind phase III randomised clinical trial to examine the effect of high-dose vitamin D3 on 28-day mortality in adult critically ill patients with severe vitamin D deficiency. In the VITdAL-ICU trial using a large oral dose of vitamin D3 in 480 adult critically ill patients, there was no benefit regarding the primary endpoint hospital length of stay. However, the predefined subgroup with severe vitamin D deficiency (25(OH)D ≤ 12ng/ml) had significantly lower 28-day mortality (36.3% placebo vs. 20.4% vitamin D group, HR 0.52 (0.30-0.89), number needed to treat = 6). Therefore, high-dose vitamin D3 in a population of severely vitamin D deficient critically ill patients is a promising and inexpensive intervention that requires confirmatory multicentre studies. To date, only 7 interventions (e.g. noninvasive ventilation, pronepositioning…) have demonstrated a mortality benefit for ICU patients in multicentre trials. If proven to be beneficial, vitamin D treatment in critically ill patients could be immediately implemented worldwide. Data collection is set to begin in late 2017. Maximum 2400 patients (1200 per group) 1 interim analysis after 1200 patients The sample size is based on an anticipated 5% absolute mortality reduction assuming an overall 28-mortality of 25% in the placebo group. Investigator-initiated, non-commercial, multicentre double-blind phase III RCT: high dose oral vitamin D3 vs. placebo dosing: 540,000 IU of oral (or enteral) vitamin D 3 followed by 4000 IU of vitamin D3 daily for the entire active study period (90 days). Cholecalciferol versus placebo: Day 0: One single bolus loading dose 540,000 IU of oral (or enteral) vitamin D3 followed by 4000 IU of vitamin D3 daily for the entire active study period (90 days) versus placebo. Yes. You will need to check with your local ethical committee and/ or with your national coordinator if any. How is the data that is collected managed? All data is annonymised and cannot be linked to individual subjects. The data is stored securely and all procedures regarding data management will comply with EU directive on data protection 95/46/EC. Who owns and can access the collected data? Each site investigator is responsible for his own data and may request an export of his data after the database is locked. The request should be addressed to the Principal Investigator. Results from the trial will be published by the VITDALIZE nominated writing Committee. Investigators will be acknowledged as collaborators in the authorship of the paper and as such, listed in PubMed.